I recently read a biography about Amy Carmichael. Her story inspired me; I hope it inspires you. Amy was a missionary in India. She helped those who were given to her or rescued. Those girls and her “starry cluster” became her family. Her “starry cluster” was a group of women who went along with Amy to help spread the gospel and take care of the girls. Among those girls was Preena. She was rescued from the Hindu temple. This is her story: at age five she ran away from the temple to go back to her mom, but when the temple keepers came to take her back, her mom gladly gave her back because her mom was afraid of offending the Hindu gods. When Preena got back to the temple, they burned her hands to remind her to never run away, then they told her stories of Amy to scare her (by then every one was calling Amy the child catching Amma). Instead, Preena wanted to go to Amy. She thought it would be wonderful to have a mother who would protect her and help her. Then, when she was seven she was looking for away to escape. One night, she suddenly felt alert, so she sat up and tiptoed to the door, which for some reason was open. Preena was confused; they never opened or unlocked the doors. Preena wondered if it was a trap to test if she would run away. But, something told her that it wasn’t, so she pushed open the door and ran into the court yard and to the gate, which was open, too. She ran out and looked around; the night watch man was not around, so she flew out and ran straight to Amy. God, the one true God, allowed a little girl who needed love to escape. When Preena got to Amy, she climbed up into her lap and would not budge. Amy was startled, but she knew the little girl in her lap needed love. 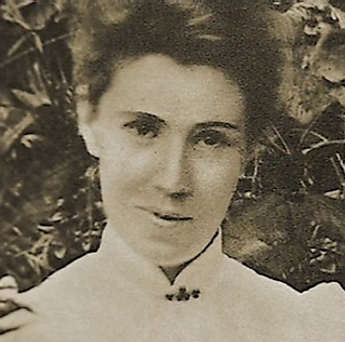 Amy Carmichael led a wonderful life, and she died at age 83. We should all follow her example.